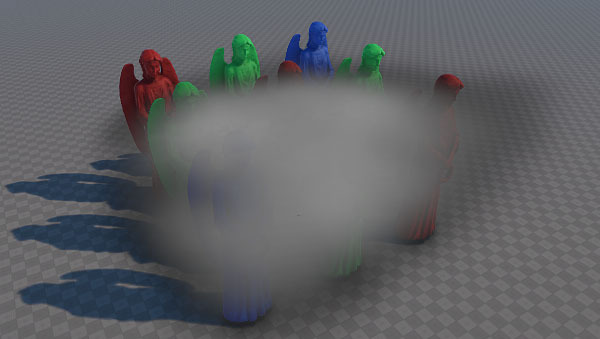 A volume_cloud_base material is used to create clouds or shaped fog. It is applied to Volume Box objects. Defines how many times a density texture is sampled to render a cloud. The higher the value, the smoother and less discrete the cloud is. To increase performance, use low Samples values. 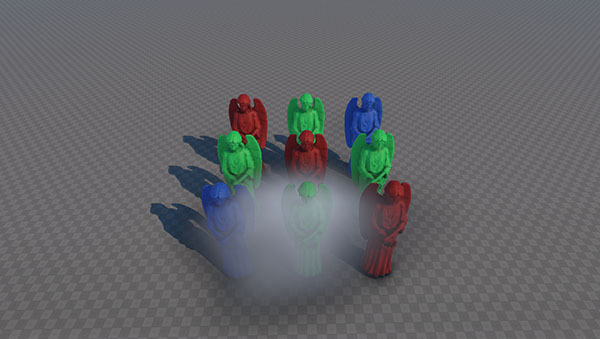 Specifies if the attenuation texture will be used to override transparency values with the texture color for the cloud. 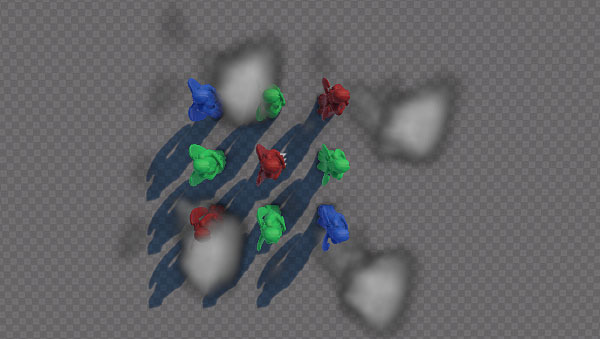 Enables soft interaction for volume boxes and other objects, so the interactions would not be sharp and cause artifacts. A volume object fades out to the intersection plane: the color of the volume box and the object is smoothly interpolated in case they are approximately of the same depth value. Availability of textures depends on the set States values. Specifies the shape of the cloud and its density. 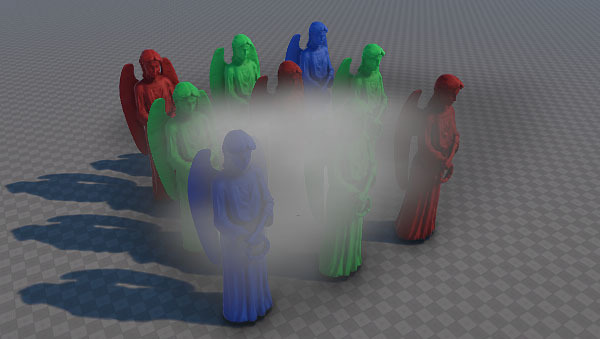 It is a 3D texture that represents a set of vertical cross-sections of the cloud. R value specifies the actual grayscale color. The minimum value of 0 means U coordinate value is 0. The maximum value of 255 means U coordinate value is 1. U coordinate of the attenuation texture. G value is ignored. 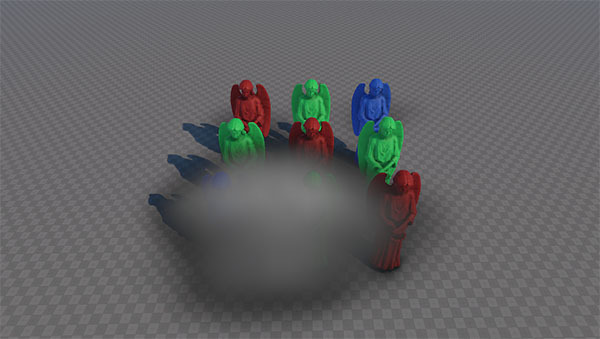 Alpha values are specified in the Attenuation texture instead. A texture that adds a color to the cloud and specify its transparency. A (alpha) value stores transparency values. G channel values of the density texture are ignored. A color picker to choose the diffuse color. A coefficient to scale the density of the cloud. The density value multiplies the value of the G channel of the density texture. By the minimum value of 0, the cloud is not rendered at all. The higher the value, the bigger and darker cloud is (if a default texture is used). For more details on setting texture coordinates, read the Texture Coordinates Transformation chapter. V coordinate of the attenuation texture coordinates transformation. V coordinate of the attenuation texture. Coordinate transformation of the density texture. An offset of the density texture along X, Y and Z axes respectively. 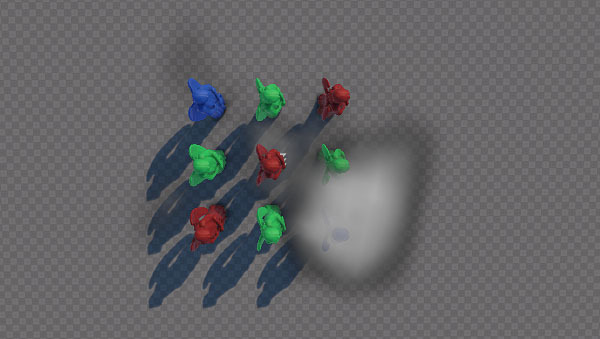 For example, this option can be used to animate the cloud.